Unique Christmas gifts and seasonal decorations! 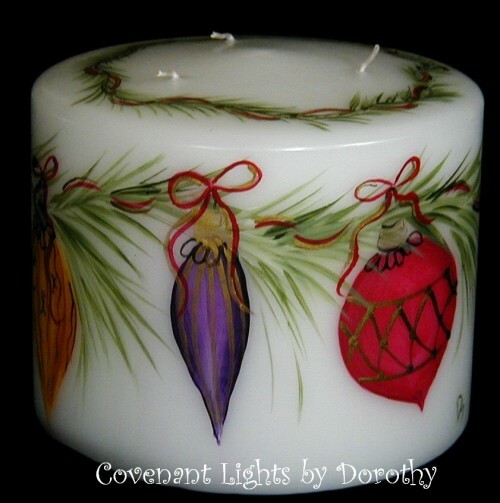 Dear Dorothy, Thanks so very much for the beautiful Christmas candle order you sent. 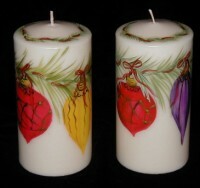 They are so beautiful and I can't wait to give them for Christmas gifts this year. 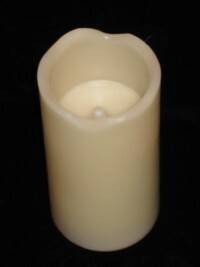 I love your web-page and the fast shipping I received. 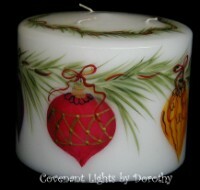 God bless and may you have a blessed Christmas!! 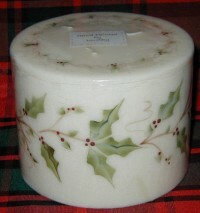 I offer candles in many sizes as indicated in each design choice. The FLAMELESS candles run on 3 AAA batteries and flicker when on. 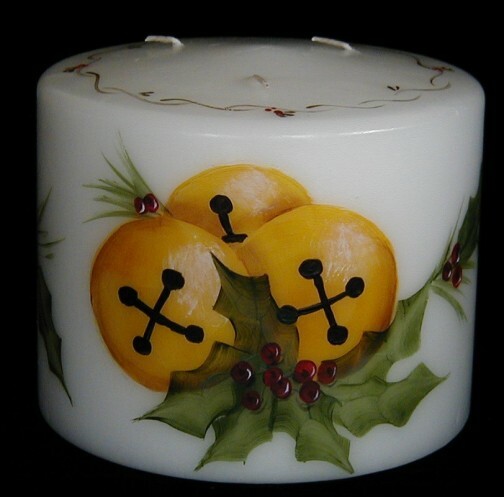 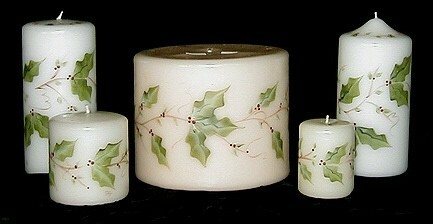 Jingle Bells and Ivy hand painted on a 3-wick candle. 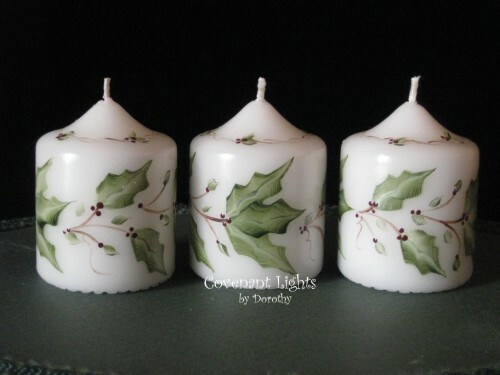 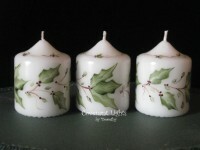 Holly & Berries hand painted all around the candle size of your choice. 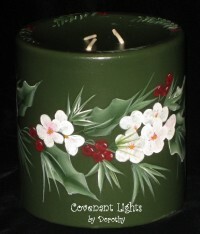 Holly, Pines, White Flowers & Berries hand painted all around a green candle. 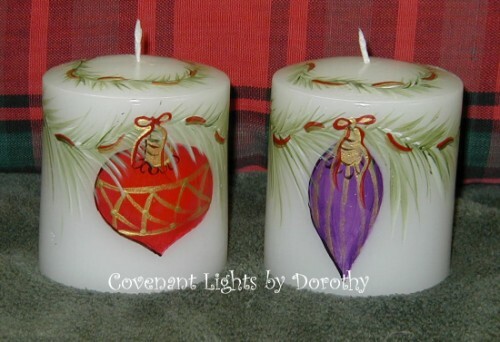 Red, Gold & Purple ornaments hanging from a Pine Bough hand painted all around.